Travian Kingdoms connects people all around the world! Sometimes it connects people speaking the same language even across real world borders. 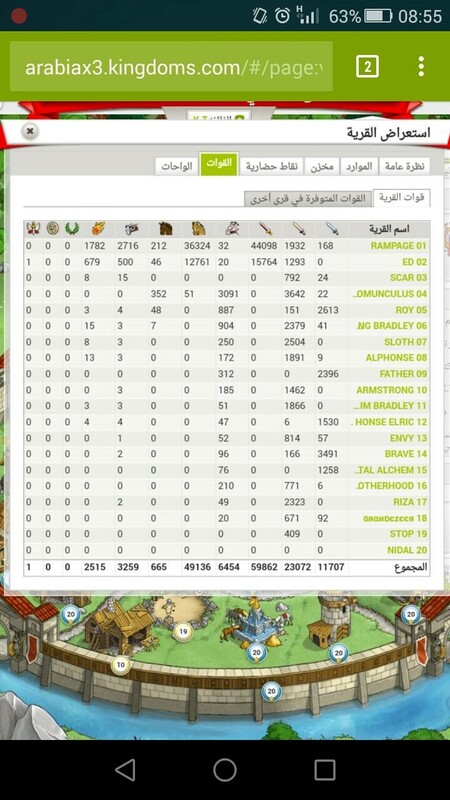 Rampage, a top statistics player and WW holder, is part of our Arabian community and plays on the Arabian speed rounds. Red John: Please introduce yourself. RAMPAGE: My name is Safwan and I am 21 years old. I am studying architecture at the Jordan University of Science and Technology. Red John: Where are you from? RAMPAGE: I was born and raised in the Jordanian capital Amman. Which is where I am currently living, too. Red John: What is your history with Travian? Did you play the classic Travian? RAMPAGE: I played Travian for the first time in 2004. I started my adventures on foreign servers until I moved to servers featuring Arabic language versions. Back then we had 30 servers, from ae1 to ae30, if I remember correctly. So, you may say I witnessed all major Travian updates, from the introduction of the hero, equipment, and the auction house, up to the realization of the Kingdoms concept. Red John: Oh! So you are veteran player. How did you come across Travian Kingdoms then? RAMPAGE: I found it on Travian’s Facebook page. Red John: Good to know. What is your favorite tribe? RAMPAGE: Hmm, excellent question! My favorite tribe is the Teutons, but sometimes I pick the Romans when I cannot afford the crop supply for my hammer. Red John: What is your main strategy? Defensive, offensive, or a mix? RAMPAGE: I can play both styles – it depends on the game round itself and how much time I have at my hands. Last round, on the server AEx3r1, I had three hammers. Red John: Great! When it comes to naming your hero and villages, do you use the same names across multiple game rounds? RAMPAGE: (laughing) There are too many villages and I actually suffer building them up! I do use the same core name for them, but each village’s final name depends on what I want from it. The names are taken from an Anime series called “Full Metal Alchemist”. Red John: Cool! Are you playing solo or do you have a team? RAMPAGE: Travian is all about team play, so, yes, I have a team – a very good one. Red John: Tell us briefly: what is your secret victory formula in Travian Kingdoms? RAMPAGE: For us, the road to success consists of cooperation. It is the main goal of the game. Red John: God bless you! Do you have anything you would like to share with the game’s community? RAMPAGE: My advice for all is not to let the game distract you from your real life duties. Red John: Do you have any screenshots you would like to share and why? RAMPAGE: Yes, just a minute… this one is for all the curious players from the server AEx3, round 1: that was my account there, although I smashed my hammer a couple of times during that round. Red John: Wow, great! 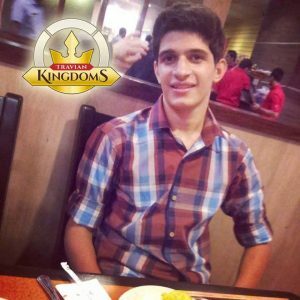 Thanks a lot for your time and I hope you will continue to enjoy playing Travian Kingdoms. Good luck with winning even more rounds! RAMPAGE: Thank you! It is great to be a part of the Travian Kingdoms community.